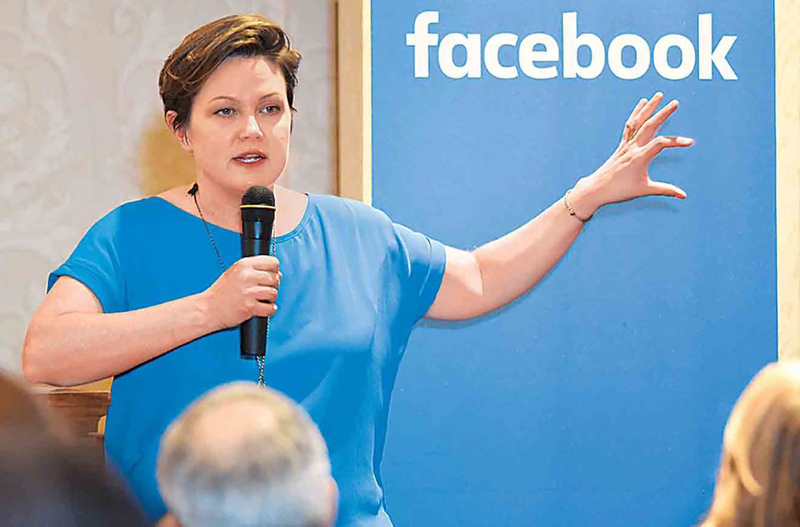 Lindsey Shepard, head of News Feed Marketing with Facebook, responds to a question Wednesday evening during a workshop at the Blennerhassett Hotel. Shepard was part of a Facebook panel in Parkersburg explaining how the Facebook News Feed works, why people see posts and how they can control what posts they see and don’t see. PARKERSBURG, W.Va. — Millions of people go to Facebook daily to communicate with friends, family, associates or to keep up with news and other information. Wednesday night Facebook came to Parkersburg and the Blennerhassett Hotel. The informational gathering was Facebook’s first stop nationally in what is going to be a monthly event.